Let's celebrate the cooler temperatures this week with a little promotion! Book your newborn session in the next 3 days, before 10pm on Friday, July 26th, and receive a free maternity mini-session, plus your favorite image from your maternity session as a digital file ($250 value!). Your newborn session may take place at any time, so if you're not due until November, this would work perfectly to get your session booked and crossed off your list. Give me a call or shoot me an email and I'll answer any questions you have about newborn sessions. Talk with you soon! 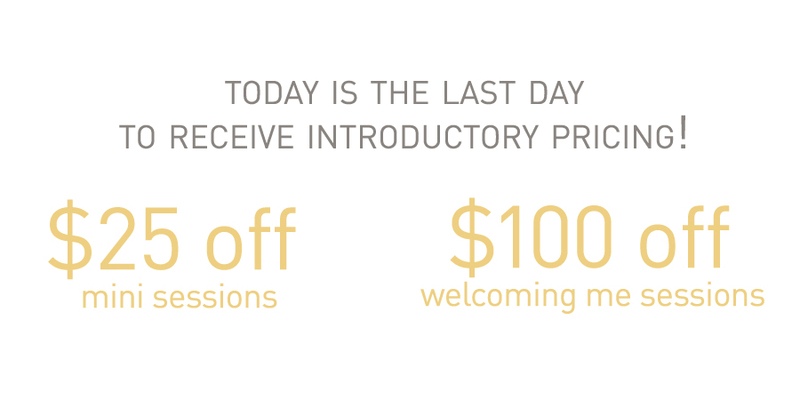 last day to save on session fees! Today is the last day to book a Mini Session or Welcoming Me session at the introductory pricing! Your session may take place any time before August 31st, 2013, so if you're planning on a session this year, book it now and save some dough! Session fee must be paid in full before the end of the day today, February 20, 2013 to receive introductory pricing. Click here for full details on booking a session on my pricing page. Email me today to reserve your session and save! Visit my pricing page for all of my session pricing and options. I had such fun with this lovely couple in the studio. And seriously, how gorgeous does Krista look? 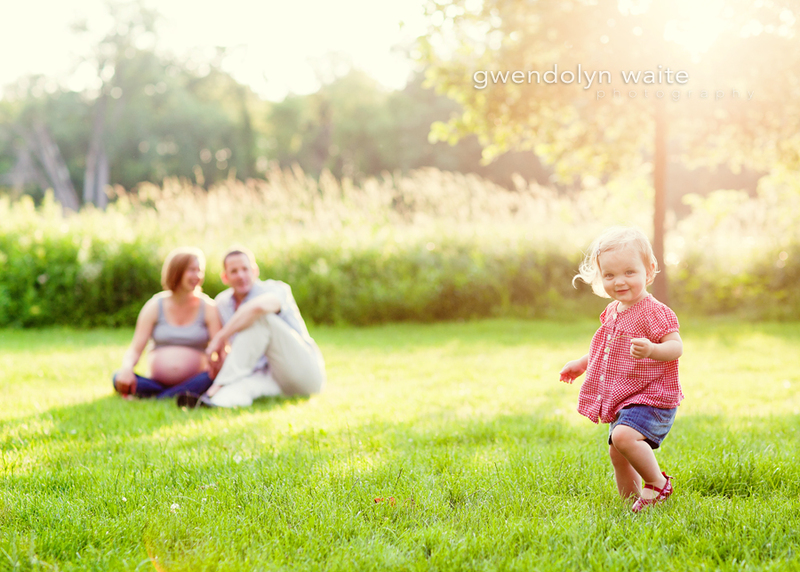 !I can't wait to meet their new baby in a few weeks! Sweet Norah, in her little red gingham shirt and jean skirt. But even sweeter than the red gingham was the antique white dress she wore at the end of the session - it used to belong to Norah's great-great-great-grandmother. So precious on her. I can't wait to meet her new little brother in a couple weeks! I just got some amaaaaaazing news this morning, and I'll blog about it soon, but if you want to get the dish early, head over to my facebook page ("like" me if you haven't already!) and read about it there! p.s., if you missed Norah's first appearance, check it out!